« Looking For Adventure? This Chicago Blogger Found It-And Tells You All About His Experiences! I often meet people who have relocated to the Chicago area from more mountainous or forested terrain. A frequent complaint I hear is that there is nowhere to hike, bike or experience nature in Chicago other than the lakefront. Not so! You want forests, we got forests! You want hills, we got hills. You want mountains…OK, we don’t have mountains. But we have hills and steep terrain at Devils Lake and Starved Rock! 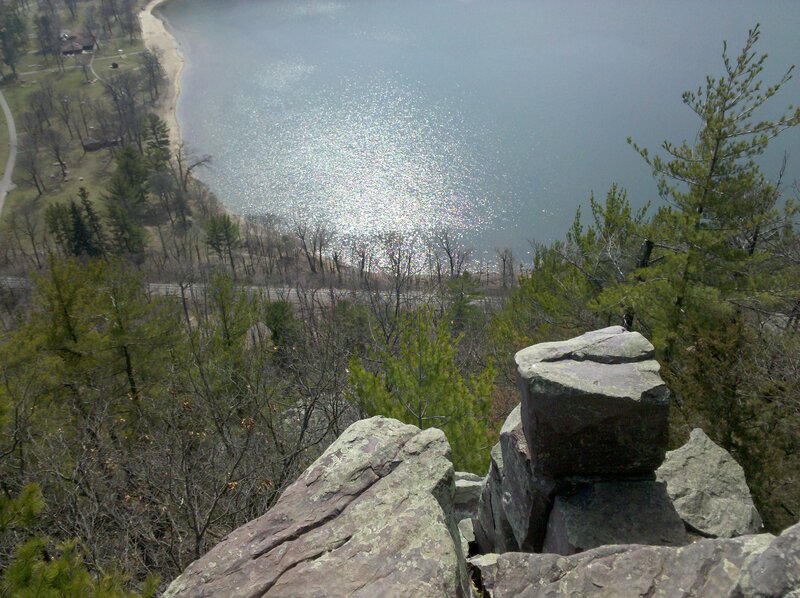 Hiking at Devil's Lake. Photo by Sue Shekut. All rights reserved. Then another problem arises. Many relocated folks do not know anyone that shares their love for activity in the great outdoors. Well, why not meet up with some new folks that share your enthusiasm and have the gear to experience the same sports and activities you like to participate in. Try hiking and outdoor activity meet ups! Hiking and biking is more fun with new friends! What Does Wiki Say About Meetups? Meetup is an online social networking portal that facilitates offline group meetings in various localities around the world. Meetup allows members to find and join groups unified by a common interest, such as politics, books, games, movies, health, pets, careers or hobbies. Users enter their ZIP code (or their city outside the United States) and the topic they want to meet about, and the website helps them arrange a place and time to meet. Topic listings are also available for users who only enter a location. Meetup.com was founded in 2001 by Scott Heiferman, Matt Meeker and Peter Kamali. For a view of several different Chicago area Hiking Meetup Group click here. You will find a number of meetups that have hiking involved..
For Chicago Outdoors, Hiking Social meet up, click here. This group has about 1467 group members. Their page says: e strive for adventures, fun, and friendships. This group is for people who enjoy hiking, being outdoors and meeting new people. We feature hikes for all skill levels, canoeing, camping, biking, social gatherings and other outdoor activities. These events are a great way to get out, meet people, and smell some fresh air. If you have a suggestion, please feel free to contact the Organizer or post them on “ideas for meetup” on the calendar page. Most of the activities are pretty tame, but any participation in this group is at your own risk. If you want to meet fun and adventurous people, this group is for you. They are also looking for Event organizers and hike hosts. Contact the group organizers for info on how you can participate! Membership Fee/Donations: There are no membership dues to be part of this group. For prepay events, we will sometimes add up to three dollars, normally 1 to 2, to the payment to help out with the Meetup.com monthly fees. 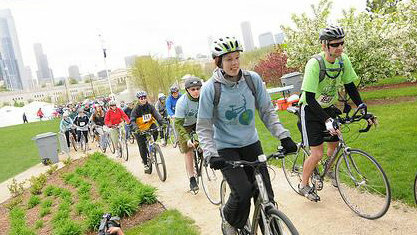 For other events, example hikes, we suggest a 1 or 2 dollar donation at the start of the event. This is totally voluntary. No records will be kept for who donates and who doesn’t. To get info on the Windy City Hiking meet up, click here. Windy City Hikers is an outdoors group active in the Chicagoland area with about 2710 members so there are plenty of new people to meet and hike with! Windy City Hiker outings are a combination of outdoor appreciation and coffee-house conversation all while hiking along the trail. It’s a fun and easy-going atmosphere that’s perfect for meeting new people and relaxing away from work. Currently our hikers range in age from their 20’s to their 60’s, with the majority of the group falling between 25 and 45 years old. The majority of our hikes are within a 2 hour drive from Chicago and range from 4 to 10 miles or so in length. In good weather and average Illinois hiking conditions (flat!) we tend to move at about a 2.5 – 3 mph pace. Fast enough to work up a sweat but slow enough to enjoy a good conversation! During the camping season we also head further afield for some great weekend camping trips. For info on the Suburban Outdoor Activity group click here.